I stopped into a shoe store with my daughter on Saturday afternoon on our way home from her Aikido practice when I heard Charlie Parker’s rendition of “Just Friends.” It got me to thinking about Bebop and the improvisational nature of boxing. Watch boxing at its finest and one finds not only the dancer’s art, but the improvisational character of a Charlie Parker solo. 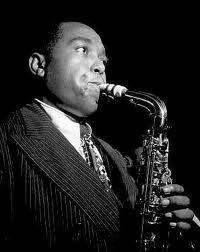 For those who may not know, Charlie “Bird” Parker was an alto saxophone player from Kansas City, Kansas who along with Dizzie Gillespie brought a new lexicon to Jazz interpretation called Bebop. Like many talented musicians of later eras, Charlie Parker’s tenure on earth was brief — all of 34 years, and yet the legacy of his music lives on today. PS – Catch a young Miles Davis on trumpet on both tracks.